7mm Polished Silver Titanium BCR/Nose Ring /Earring with titanium ball. 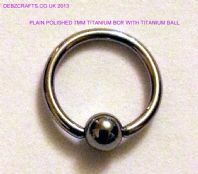 7mm titanium nose ring in polished silver with titanium ball. 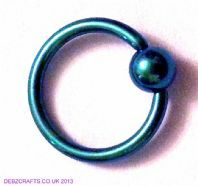 7mm titanium nose ring in turquoise with titanium ball.